The Wits Yacht Club (WYC) has started a new racing league which aims to boost the skills of the team’s older sailors and to teach the newer sailors about the race. 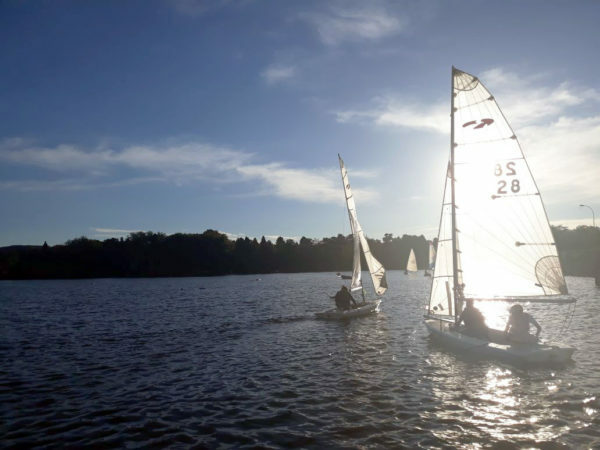 The racing league began on February 16 with 26 members of the team participating at the Emmarentia Sailing Club. The league will take place every second Wednesday for the rest of the semester from 16:30 to 20:00. Wits Vuvuzela spoke to third-year BSc Engineering Information student and WYC commodore, Emma Clark, about the club’s new league. “We have set up this league so that beginners can hop on a boat with an experienced sailor and still join in on the fun without having any previous experience. This league aims to help boost our current sailors’ skills as well as teach our upcoming sailors the dos and don’ts of sailing racing,” she said. The league focuses on a type of racing called match racing, which means that two boats manipulate the rules of sailing to try to beat the other boat around a course. “This type of racing is done in a round-robin format so that we can rank our members and ultimately reward our top sailors,” said Clark. Samaneh Teimouri, a new member of the WYC and MSc Eng student, described her experience in the races as “amazing”. “I can say that it was one the best experiences that I had in my life. Directing the boat according to the wind and use the most of wind power to steer it, it was amazing,” she said. The WYC will be running a ‘Learn to Sail’ programme throughout March. This programme will assist new members, but it will also be open to non-members at an increased price.